It also establishes a healthy pattern of lifetime physical activity, and makes your friends jealous. 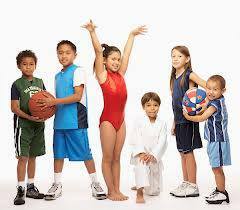 Sports can help you learn social interaction, as well as give you a chance to exercise leadership. In competition, you quickly learn what your teammates — and you — are made of. You rely on your teammates and opponents to make you stronger, and pretty soon, you have a new set of friends. Playing sports releases stress and tension. Sports competitions teach you to feel relaxed in high-pressure situations. Athletics also helps you fight depression and anxiety — endorphins are our friends!